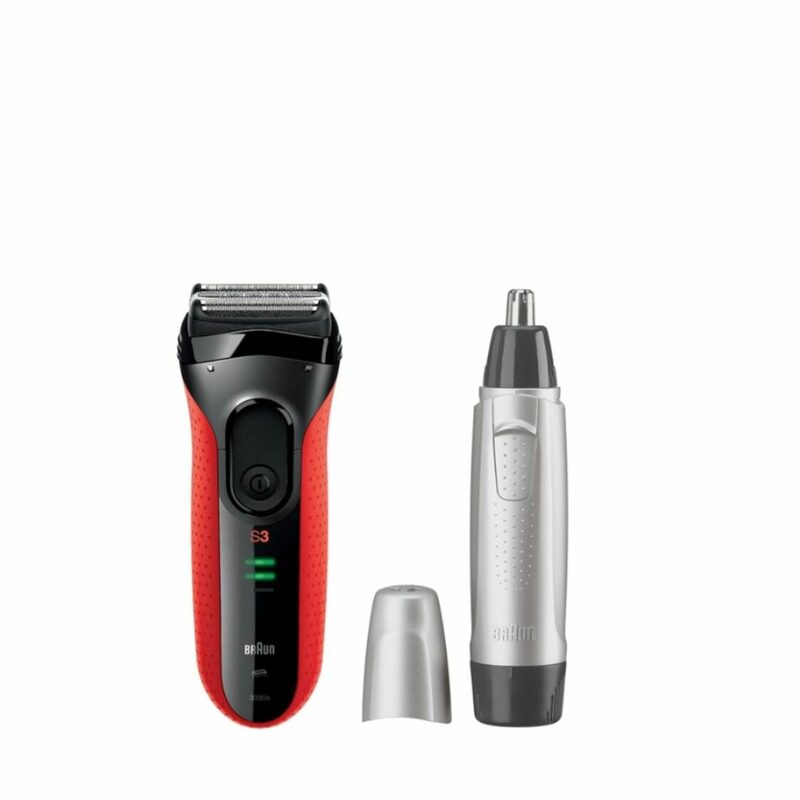 - Trimmer head with extra sharp blades. - The trimmer blades are engineered to stay sharp for their whole life. That makes styling precise and minimizes tugg and pull. - Captures more hair in the first stroke. - Three independently moving cutting elements adapt to every facial contour and guarantee a smooth shaving experience. - Full charge in 1 hour for 45 minutes of shaving time. - 5-minutes Quick Charge is enough for one shave. - LED display for low charge or battery status. - Battery or mains operation, depending on model. - Three fully independent floating cutting elements and MicroComb for a more efficient and comfortable shave. - Use under the shower, or with foam or gel.